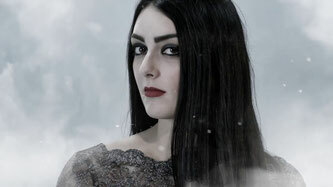 In between the newest album from Walk in Darkness (‘Welcome to the New World’) and the upcoming release from Kalidia, Andrea decided to ask singer Nicoletta Rosellini a few questions about these two bands, an indiegogo campaign she organized, her appearances as a guest singer and as well as other things. 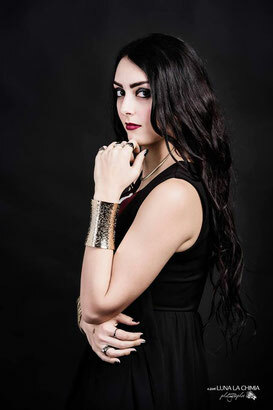 Nicoletta was kind enough to oblige Lyrical Spell Magazine with the answers. When did you first started singing? What band(s) / artist(s) have inspired you to become a musician? 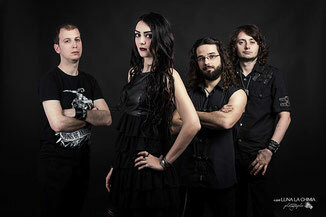 Kalidia is your first band. What can you tell me about the band’s history? I saw on Facebook that Kalidia will release new music this year. What can fans expect from the upcoming album? Are there any tour dates for 2018? You already recorded two albums with Walk in Darkness. How did you become part of this band? How does it feel to be the face and the voice of such a mysterious band? On both albums you have collaborated with Emiliano Pasquinelli and I really enjoy his growls. Is he part of the line-up now? What is the theme of “Welcome to the New World”? 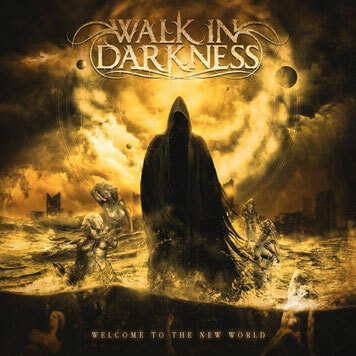 Is Walk in Darkness a studio project or will we see the band on stage? How involved are you in the creative process? Are you more involved in Kalidia than in Walk in Darkness? Last year you were on stage with Overtures during Metal Days. How did that collaboration happen? This year in March, you played with Aevum. Were you excited about that? Last year you did an indiegogo campaign for photographer Luna la Chimia. Are you pleased with the results? I saw you were performing with Rhapsody. How was it to meet and sing with Fabio Lione? When you are not doing music, you are studying veterinary medicine. How hard is it to balance these two aspects of your life? ‘’Really hard, but I think I'm doing quite well. Not too long until I will finish my studies...I'm trying to stick to both careers for now! A big thank you from my part as well to Nicoletta Rosellini for taking the time to do this interview with Lyrical Spell Magazine! Check out both Kalidia and Walk in Darkness, and if you like what you hear, support them by buying their music.